Sometimes it becomes necessary remote player, the remote desktop client or just a way to transfer data from phone to computer. Here you will find tips on how to establish a secure connection with the desktop PC and launching applications directly from your Android phone. Phone and computer must be connected to the same router and a computer on the network has a static IP address, i.e. every time he gets the same local address (192.168.x.x). Each router has its own characteristics, so it is impossible at this stage to give any specific recommendations. But, in General, the process should proceed like this. 1. Locate the hardware MAC address of the connection (cable or wireless). 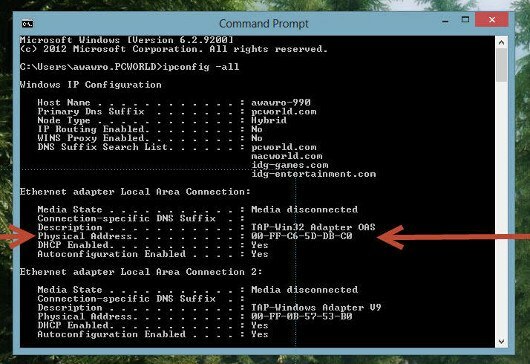 In a Windows environment this can be done by opening a command prompt window and typing ipconfig –all. On a machine running Linux or Mac OS, open a terminal and enter the command ifconfig –a. Scroll the screen until you see information about the configuration of your router. The MAC address is usually represented in the row Physical Address (Physical address) looks like this: a2:b9:34:54:cc:10 (see the picture). 2. Go to the setup page of the router configuration by opening a browser and typing in the address bar 192.168.1.1 or 192.168.0.1. If that doesn't work, look for the desired address in the instructions or on the manufacturer's website. On the setup page of the router configuration find the section define a static IP address. Enter the MAC address of your computer, its computer name and IP address will now be assigned to the router (192.168.1.100, for example, is usually quite safe). Doing this, you can move on. Visit Unified Remoute (www.unifiedremoute.com), from there download server application for PC and start the installation. You enter the password needs to be strong enough, everything else can be left default. If the system asks whether to open the firewall for this application, answer in the affirmative. Then you need to download the Android app from Play store or from the website of Unified Remote. Those who prefer phones on the Windows platform there, and the Windows Phone app (see image). Start the mobile app, and in the case that the Unified Remote server on your computer is also running with a network everything is in order, it will attempt to automatically configure your configuration. If in automatic mode him do not succeed, you will have to add a server manually by entering the IP address of your PC. Connecting to the server, go to apps Remotes. There are many parameters with which you can experiment. Most useful are the basic input parameter that allows you to use the touch screen phone as intuitive mouse for PC and media displaying keys play/stop/volume, similar to those that are on the physical keyboard. If the network connection is stable, almost no delays there. It is obvious that remote control makes sense only when the mobile device is literally used as a remote control. By controlling the cursor or multimedia keys, you have to be in the vicinity of the computer and see what's happening on the screen. If you want to get the application acting in the role of both the remote control and the channel for transmitting multimedia content from PC to the phone, the VLC player is exactly what you need. Run the app and select VLC from the drop down menu "Tools", point "Settings". Switch the "Show settings" in the lower left corner, switch to "All" in the section "Interface" in the left pane, select "Main interfaces" and check the Web. Then close the settings window. The player must remain on the screen (see image). Followed from Google Play store to download the Android app VLC Direct Pro Free. By default it tries to find the server running VLC. Generally, if VLC player is open, everything happens automatically, if detect PC will fail, as in the case of Unified Remote, the app will ask you to enter its IP address. After the connection is established, you will see a main interface of the program. In the TARGET section in the upper left corner are invited to choose what you will do: manage your multimedia content directly on the PC (conical VLC icon) or pass it in streaming video on the phone (the Android icon). Controls play/pause/stop and volume control are at the top of the screen. The list of available files is represented by four icons, which are arranged in a line and allow us to address (left to right): local video phone, local audio files on the phone, the multimedia content on PCs and recent files you have opened on your PC. If you start to lose anything on the computer, in the bottom of the screen will appear a timeline, which can be used to navigate through records back and forth. Just what we need! You should know the three features of VLC. First, the phone can not cope with playback of all files when you open on your PC the default player starts. 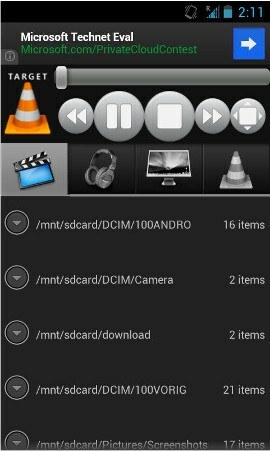 In this case, you can try to use beta version of VLC for Android, which allows you to define associations with video files, the current default. 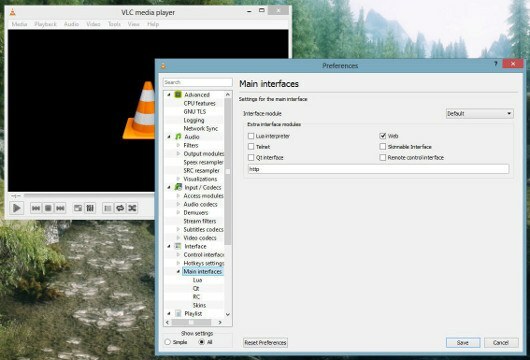 Second, the same interface of the remote control VLC over the network through a browser can connect with another computer (for example, if you want to connect to a multimedia PC with a laptop computer without leaving the sofa). Just type in your browser's address bar 192.168.1.100:8080 (if you use a different static IP address, specify it). Thirdly, in order to connect to the VLC player, it should already work on another computer. And since VLC is not a typical background apps, you will need to include it in the startup list. From time to time a situation arises when you need to close and reopen the app in order to switch from viewing the file directly to your PC for viewing in streaming mode. Unfortunately, a really easy solution does not exist here. The only thing you can do is to open the player using, say, Unified Remote, and then run a program to remote control VLC. But to get off the couch. VNC (Virtual Network Computing) is a great remote control system multimedia content, which you probably have never heard before. At a basic level, VNC is an alternative to Unified Remote and allows you to move the cursor on the screen, but that its capabilities are not limited. It can help, for example, to scan a document on your office PC, you to convert files to PDF format to send documents by mail and at the same time to watch a movie on a computer that is in another room. Deploy a VNC server on the computer easy users Windows just download the from the RealVNC website (www.realvnc.com) the server part of the program RealVNC, install it on a PC and run by typing a strong password (see image). Users of Ubuntu Linux you need to install from the Ubuntu Software Center program x11vnc to access a menu of Startup Applications and add the following command: x11vnc -forever-passwd xyzzy -rfbport 5900-bg, where xyzzy is your chosen password. So, from the PC side everything is ready. Now you need to install the VNC app on the phone. For the Android operating system there are many VNC apps of varying quality, but most of all liked the program Free bVNC. Its configuration is simple. All you need is enter the name of your PC, IP address, selected password and click the Connect button. 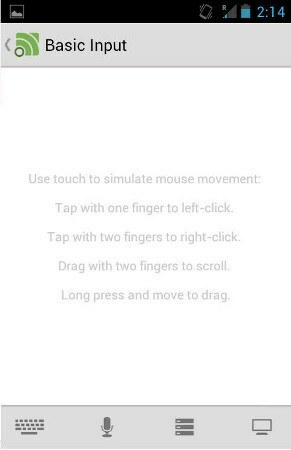 Then you can go to menu and in input mode to select the simulated touch pad (Simulated Touchpad). suppose you want to manage your torrents and transfer from your PC media information in streaming mode. The computer is in idle state into hibernation, and then you are out of home or you are just too lazy to go to another room to turn it. If so, then you have something to please. Most of the machines for many years support Wake-on-LAN that allows the network adapter to Wake the computer from sleep mode upon receipt of its transmitted network messages. Unfortunately, the specific instructions here is difficult to give because each PC has its distinctive features. If the network components are integrated directly into the motherboard, you need to check the settings for Wake-on-LAN in BIOS, otherwise you should look for them in the advanced settings of the network adapter in device Manager. Any network adapter except wireless adapters that connect via the USB interface, has support for Wake-on-LAN. Activate this feature. Next, you should download the eponymous app Android. As in the case of VNC, there are several options from which you must choose the best. One of the options — Android app Wake on LAN. This time set on a PC do not have, but instead when configuring Wake on LAN will need to enter the MAC address of your computer and its IP address. Providing all the required information, put the machine into sleep mode and beeps, which is supposed to bring her back to life. 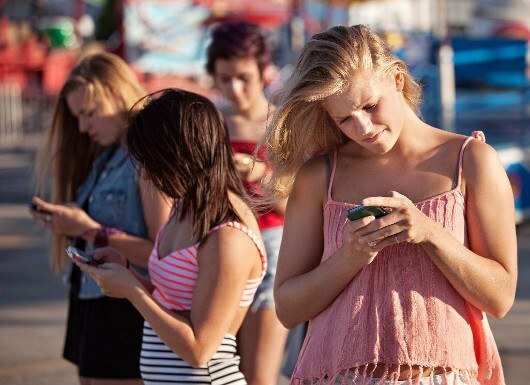 Just think, what opportunities for you this app! Now you can bring the computer out of sleep mode, open VLC and pass the film in streaming video on the phone without getting out of bed. The car has the 192.168.1.100 address is valid only inside our own network (that's why to give your computer address is 192.168.1.100 anyone). And to connect from outside, you need to specify your global IP address, which can be found by typing in Google search: "What's my IP address?". Note that some Internet providers assign a new global IP address whenever you next connect your modem, therefore you need to check it after any power outage (call your ISP, because it's likely that you have the option of assigning you a static IP address). In addition, you must configure your router so that it forwards external requests to your home network at 192.168.1.100. After switching to the global IP address you will not be able to determine which computer should allow remote access. You connect to the router, and it needs to know which PC you are accessing. Save your settings, move phone away from home and try to connect to your computer using various programs and specify the global address. If this happens, the remote PC in your pocket.